The Johnson C. Smith University Board of Trustees this morning announced the selection of Clarence D. "Clay" Armbrister as the new president of the university. He will be the historic black college's 14th president. 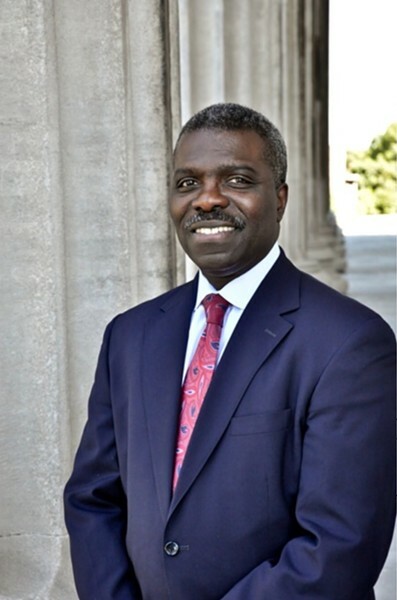 Armbrister currently serves as president of Girard College, an independent college preparatory five-day boarding school for academically capable students from economically disadvantaged families in the Philadelphia region. Before that, he served in leadership roles at John Hopkins and Temple universities. Armbrister will replace Dr. Ronald L. Carter, who has served as president of JCSU for nine years and announced his retirement in August 2016. Armbrister, a first generation college graduate, said he's excited to build on the "unparalleled success" of Carter's work. “I am honored and humbled to have been selected as the 14th president of Johnson C. Smith University, which throughout its 150-year history has improved the lives of its students and contributed to the growth of Charlotte,” Armbrister said in a press release from JCSU this morning. “I am especially looking forward to working with the board, the faculty, staff and administration to position JCSU as one of the finest institutions of higher education in the country that meets not only the needs of its students, but those of the communities it serves — locally, regionally and globally." Armbrister will take over as president on Jan. 1, 2018, the day after Carter plans to officially step down. Armbrister and his wife will be introduced to the JCSU community on Thursday, October 19. In this morning's release, Bernard W. Smalley, vice chair of the Board of Directors of City Trusts and chair of the Girard College Committee, praised Armbrister's leadership, passion for education and dedication to student development.